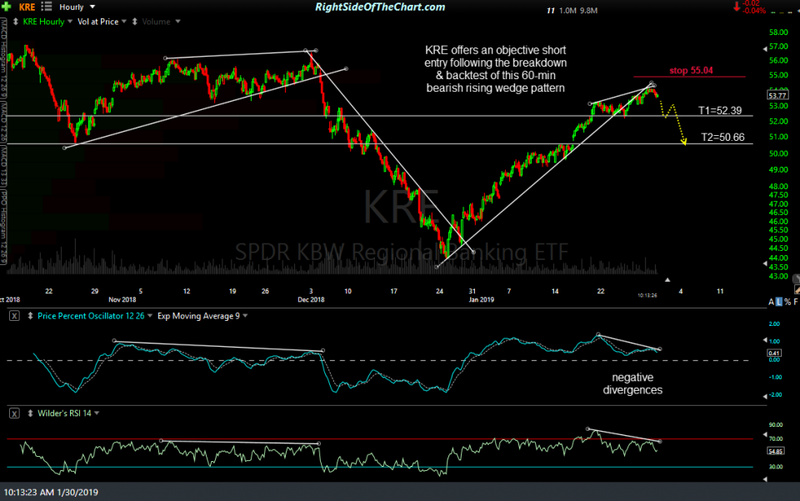 KRE (Regional Bank Sector ETF) offers an objective short entry following the breakdown & backtest of this 60-min bearish rising wedge pattern. 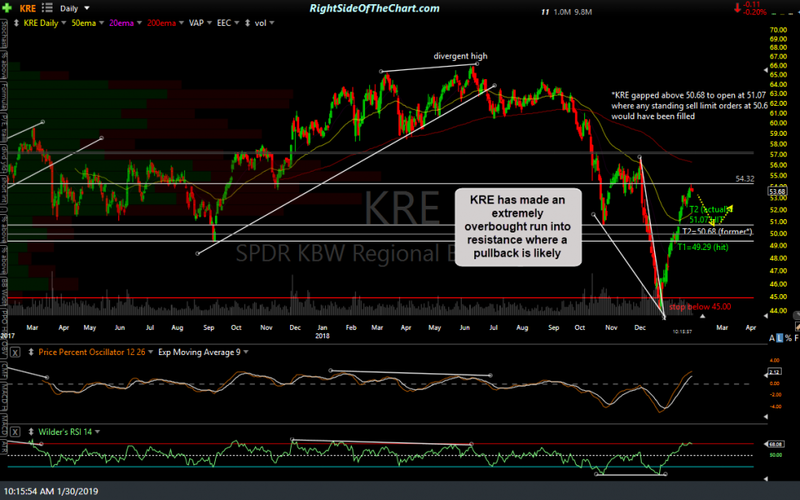 KRE has also made a very over-extended run into resistance on the daily chart as well, with very little pullbacks or consolidations since the late December lows in which to help alleviate the overbought conditions. 60-minute & daily charts below. The price targets for this trade are T1 at 52.39 & T2 at 50.66. The max. suggested stop is 55.04 with a suggested beta-adjusted position size of 1.0. KREs are listed as Hard to Borrow from my broker. Would XLF be a valid sub? As evidence of that analysis, KRE is down 2.17% as I type while XLF is only down 0.69%. Thx for sharing. Some of the less popular ETFs can be hard to short through many brokers. Interactive Brokers typically has the best availability of hard-to-borrow shares. @rsotc Hi Randy, any update on KRE? It gaped up this morning.